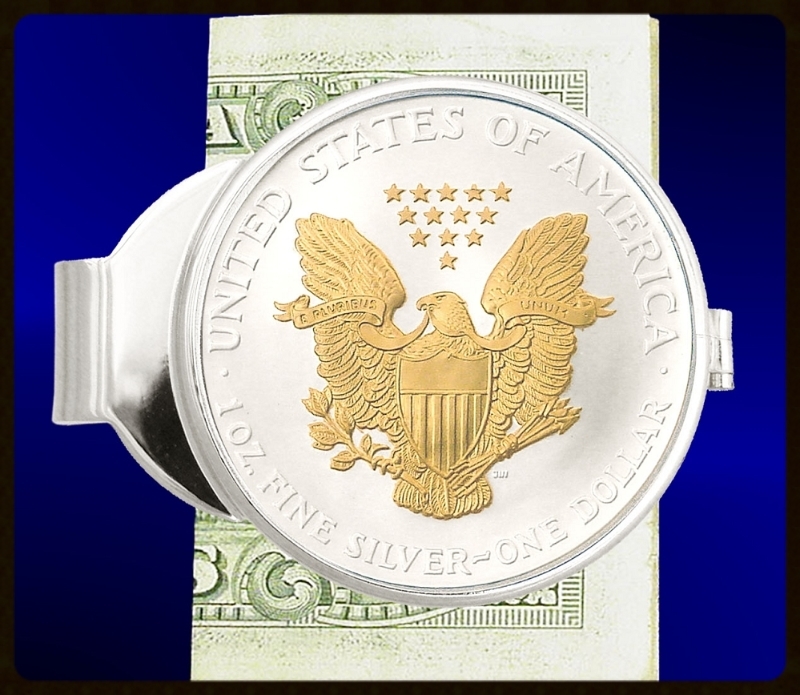 Silver Eagle Dollar Money Clip. 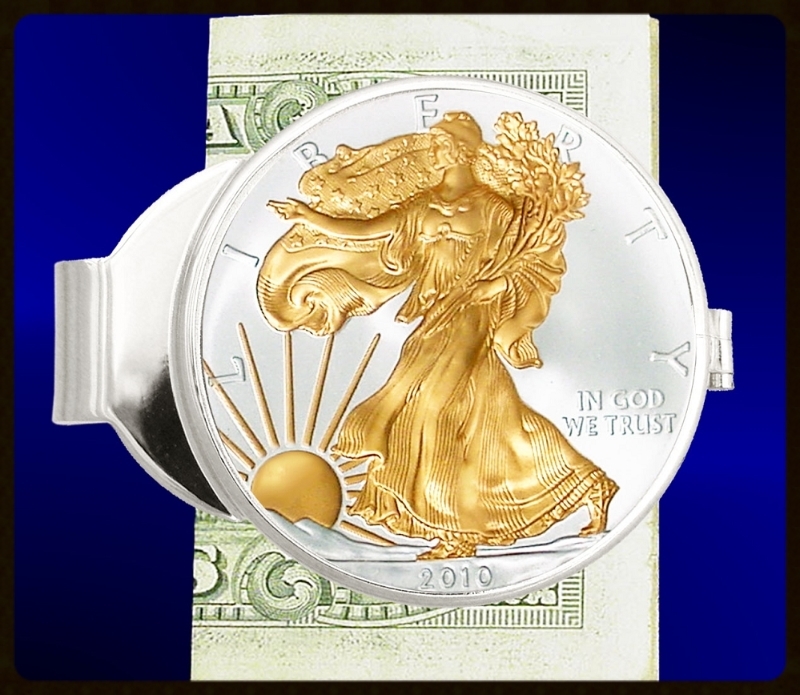 America's bullion silver dollar has never looked better! Select your favorite side to be highlighted in precision 24K gold and protected by Aurista's exclusive LensCote. The patented spring action money clip holds even one bill firmly to provide years of enjoyment. Owners quickly fall in love with them. 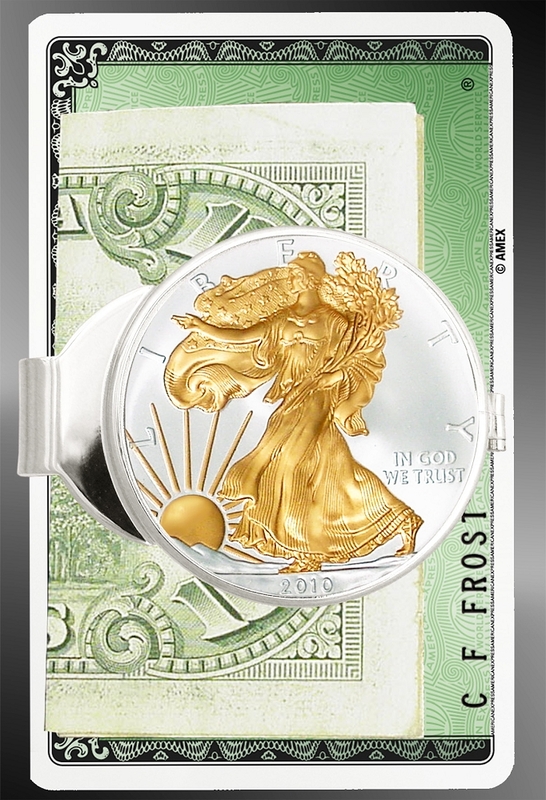 America's bullion silver dollar has never looked better. Select your favorite side to be highlighted in precision 24K gold and protected by Aurista's exclusive LensCote. 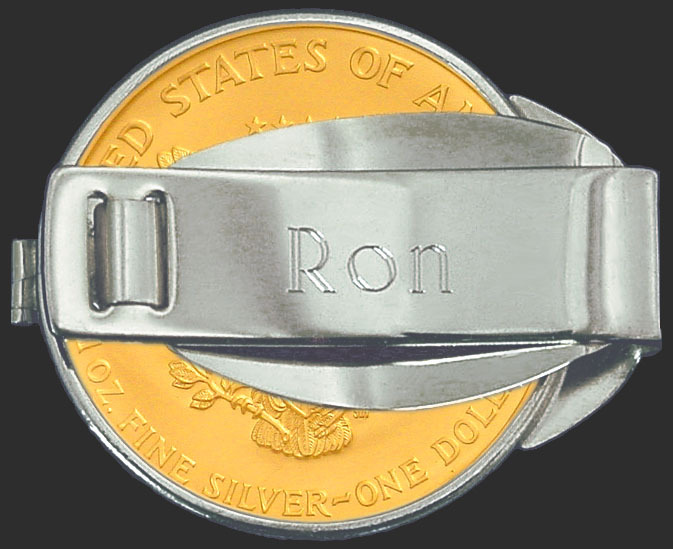 The patented spring action stainless steel money clip holds even one bill firmly to provide years of enjoyment. Owners quickly fall in love with them. Certificate of authenticity, unique numbered signet and lifetime warranty against defect. Selectable Dates. Designer: obverse by Adolph A. Weinman; reverse by John Mercanti.